We have a passion for all things Stunning! As a family run business, we love nothing more than helping you create a unique, memorable and stress free wedding day. We pride ourselves on our perfectionism thus ensuring our very high standards are always met. We treat each event and wedding as if it were our very own. Offering the highest quality products and our strong creative passion, we make your dreams come true. We work closely with you every step of the way to achieve exactly what you want. We are only happy when you are happy, so be rest assured you are in very safe hands as our attention to detail is always second to none. Engagement Parties, ​Weddings, Birthday Parties, Baby Showers, Christenings, Award Ceremonies, Corporate Events, School Proms, In House Events and Christmas Parties. flowers, LED LOVE letters, flower walls, donut walls, sweet tables and So Much More!! Why choose us? We are experienced and well known throughout the industry for our exceptional standards. We have 5* reviews and testimonials throughout all our online profiles including Facebook. We are so easy to get in touch with, we have a website with a contact form, an email address and a telephone number which we will always answer or reply to ASAP. We are a Limited company and fully insured. We are not 'cheap' - but we are affordable, and our prices reflect the level of service you would expect from an established professional service. To book your consultation - where we meet at your booked venue to discuss your requirements. We will have a chat over a coffee about your ideas, design styles, themes and colour schemes. Consultations usually last 1 hour after which, I will work on your quote and email it to you on completion. 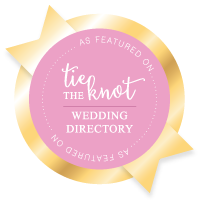 *Please only request a consultation once you have a date & booked your venue. At the heart of the business is owner Rachel, whose creative flair and attention to detail really shines through. Rachel has over 6 years' experience in the Wedding & Events industry as both a Senior Wedding Coordinator and as an Event Stylist.